November 1, I arrived in Jackson, Wyoming with the prospect to become a musher. 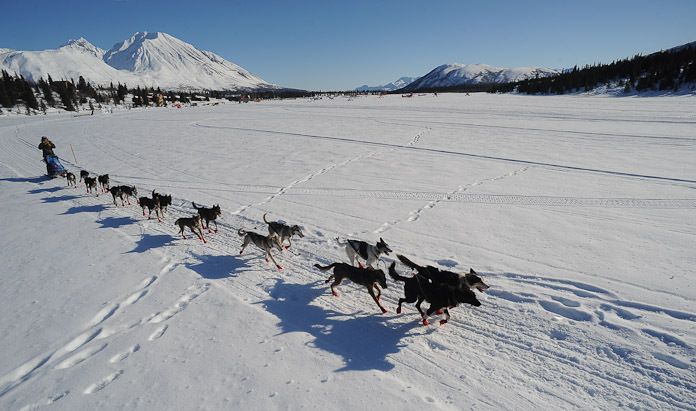 Last year I saw 30 or so mushers with their dogs on the Iditarod, probably the toughest sled dog race on Earth. I saw them arrive early in the morning, before sunrise, during the day, and in the middle of the night. Calm, hurt, tired, elated, you name it. 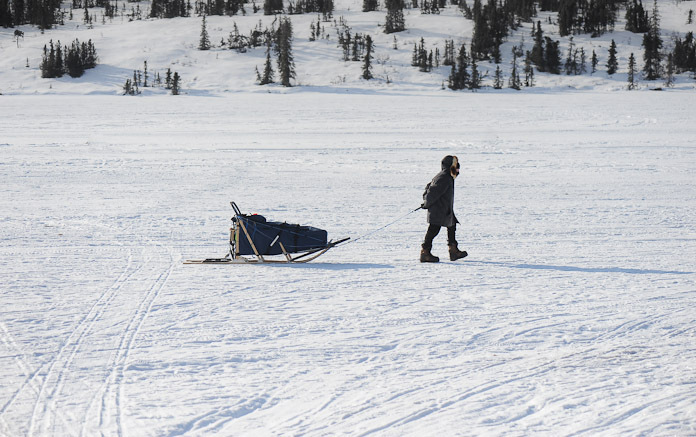 Aliy Zirkle arriving at Puntilla Lake. I saw them cook breakfast, lunch, and dinner on a frozen lake for the dogs. The team always comes first. 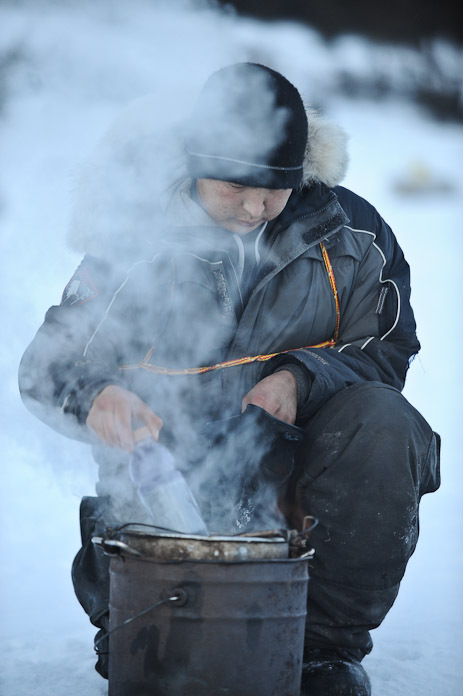 Then they dipped their frozen food into the same pot of boiling water to eat last. 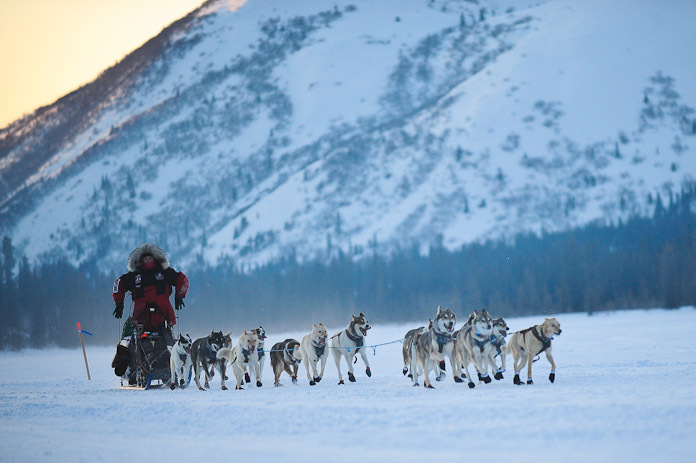 Never did it occur to me that I wanted to become a musher, although gliding through a winter wonderland propelled by a group of sled dogs looked appealing. Sometime in October this year I contemplated what to do this winter. I thought about spending the winter on a warm island. That did not happen, for whatever reason. Karma? Life is a strange sequence of events, leading us to places that we not even dream of. I replied to an ad on Coolworks to spend the winter in Wyoming as a dog musher. I had visited Wyoming only a few times before, never enough time to climb in the Tetons, or to make it to Yellowstone. Then, I remember a beautiful climbing trip in the Wind River range. All the more reason to go. Although I had the worst cell connecction during my phone interview I landed a job offer to be a musher leading visitors on day trips into the backcountry of Teton County. What an experience it has been so far. I was very intimidated in the beginning by the howling, barking, jumping and jerking of these sled dogs. They seem so fragile and small on one hand, but they are powerful and energetic on the other hand. And they have personalities you would not believe it. Pulling a sled is their life purpose. That’s what they are bred for, it’s in their blood. Once they see a sled and some dogs getting hooked up to the gang line they are going „ballistic“. „Take me! Take me!“ they seem to bark all at the same time. Leaving Puntilla Lake heading for Rainy Pass, the highest point on the Iditarod. ← Where are the dogs?